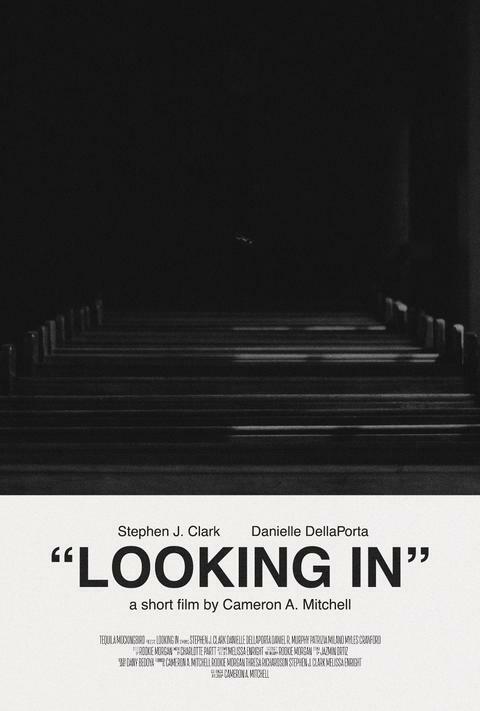 Writer/director Cameron A. Mitchell (Breakfast in Bed) is back with his latest short, the ambitious psychological thriller Looking In starring Stephen J. Clark as Clark, a young man with schizophrenia working at a church as part of a rehabilitation program. When he starts seeing a young woman named Haley (Danielle DellaPorta) on the church grounds, his existing concern gets magnified when he learns that she is dead...and she insists that the people Clark is working with are the same people who killed her. At right about 12 minutes, Looking In tells a quick and meaningful story anchored by its central performances from co-leads Stephen J. Clark and Danielle DellaPorta. Clark possesses the fragility of a young man with schizophrenia whose vulnerability is worn on his sleeve and who seemingly lives his life in a sure but not quite sure psychological state. As Haley, Danielle DellaPorta's Haley has a similar aura as that of Clark, though hers is more weary and tattered and broken. While Looking In is hindered, at times greatly, by its modest budget, it's an ambitious film by Cameron A. Mitchell and yet another clear sign that the up-and-coming filmmaker knows what he's doing behind the camera. Charlotte Partt's original music nicely complements Mitchell's complex and layered storyline while Rookie Morgan's lensing finds every shadow and makes you wonder what's lurking behind it or, just perhaps, what's actually lurking within it. 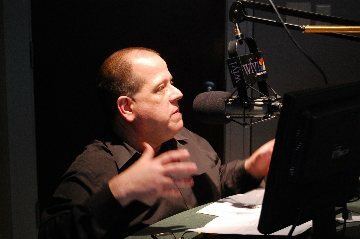 The most likely prospects for Looking In likely exist along the indie/microcinema circuit where experienced moviegoers are likely to more easily embrace Mitchell's unique vision and compelling artistry. If you get a chance to check it out, give it a watch.